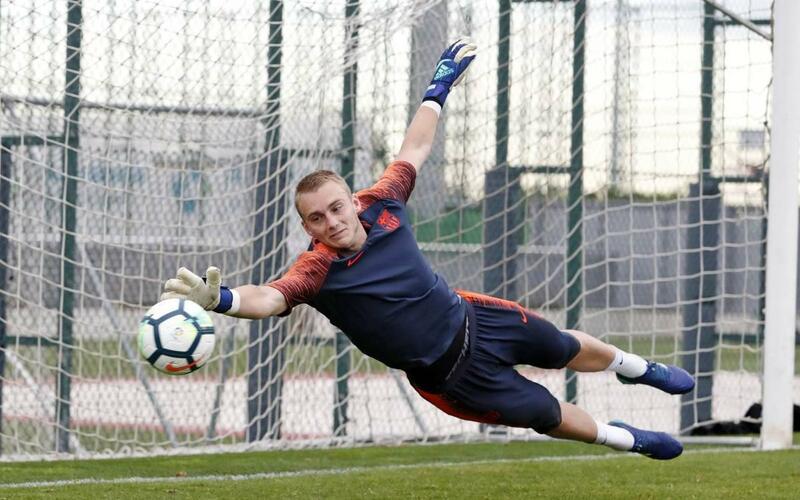 Jasper Cillessen seems likely to start in goal on Saturday in the Copa del Rey final against Sevilla. The Barça goalkeeper, who up until now has played every minute of the cup campaign, is preparing intensely for this weekend's game. The fact that he is not playing regularly in LaLiga has not prevented the Dutchman from showing what he is capable of when given the opportunity. Should he play in the final, it would be his ninth appearance in the Copa del Rey this season. Thus far he has only conceded two goals: Against Celta Vigo in the Last 16, and against Espanyol in the quarter finals. Six clean sheets and an 87.5% save rate make him the standout stopper in this season's competition. Check out this video of Cillessen's best saves in training with FC Barcelona.